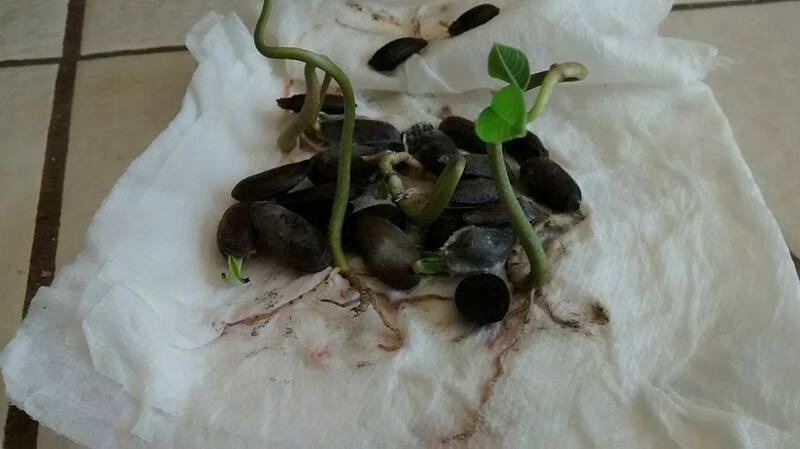 I followed her directions and wrapped the seeds in a few layers of damp paper towels that I then sealed in a plastic sandwich bag and set on the windowsill. After several weeks, a few of the seeds had sprouted. This is what they looked like. Isn’t that neat? I’m hoping to nurture these little seedlings and coax them into becoming a stronger plant that will eventually be big enough to plant in the yard. In the meantime, I’m very tickled with these little sprouts that I planted in a blue Fiestaware teacup. Categories: Handmade | Tags: cherimoya, Morro Bay | Permalink.